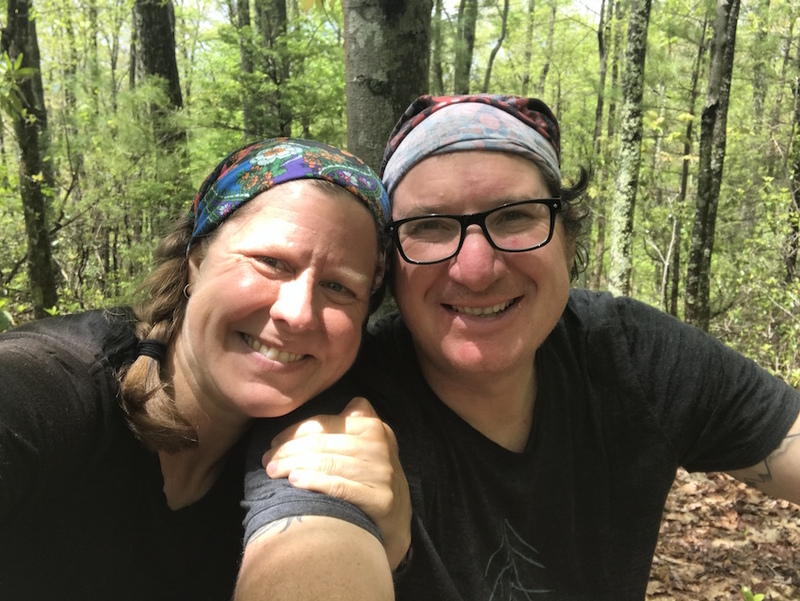 Before we left on our AT journey, several people asked us if we were sure we sure we wanted to hike as a couple, to be together day and night, in the woods, with no regular showers … for 6 months!?? Were we crazy? Not in the least. When Sunsets and I quit our Dallas jobs and moved to Costa Rica, we went from being apart from each other all day during the work week, to being together all the time, all week long! Yes, it was an adjustment, but now we’re so used to it that it actually feels weird if we are not together. Also, we’ve been married for 23 years and Sunsets is my best friend. A better question might be why would I thru-hike without my partner? This seems like a given, but I need to point this out, because it was a huge thing for us as a couple. A lot of people say that hiking the Appalachian Trail is more mental than physical. I don’t agree with that, I’d say it’s about 50/50. Regardless, 50% is still a huge percent. Sunsets and I worked extremely well together in this regard, it seemed like when he would have a bad day mentally, I was in good spirits and could really work at being positive, pumping him up, and nudging him forward. And vice versa when I was in low spirits. It was rare that we both had a bad day on the same day, but when this DID occur, the person who was having less of a bad day seemed to step up and take care of the other. Can you tell Sunsets was having a bad day? Sunsets and I also would talk about interesting things coming up or future plans, which would motivate us with lively discussion for hours. We’d get so into our talks, that the day (and all the ups and downs) would pass by in a flash. I have to say, this sometimes also happened when we quibbled. We don’t nit-pick often, but I remember one day on the trail when we were both a little cranky, and just started going back and forth about something really stupid; not really fighting, just quibbling. The day FLEW by! And after that, we were like, ok – quibbling is not a totally bad thing. 3. SLEEP MORE, PAY LESS. 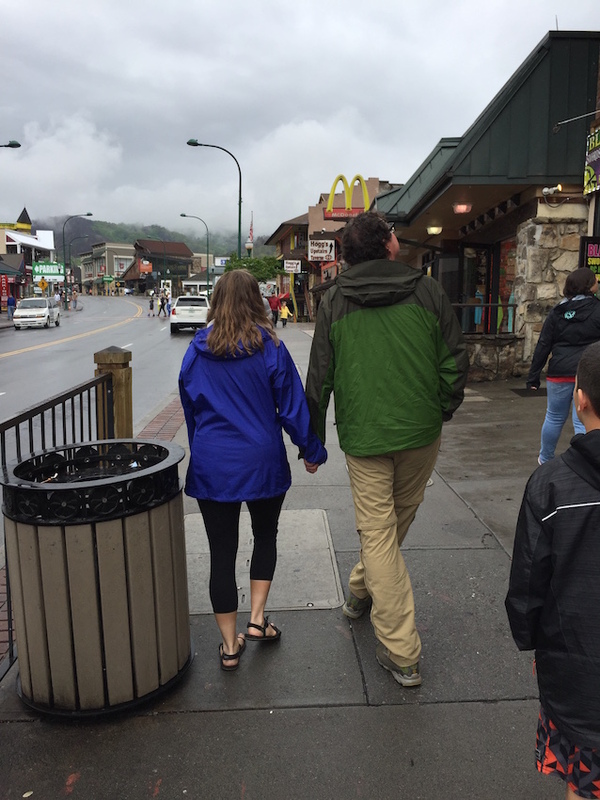 Another benefit of hike as a couple has to do with accommodations. 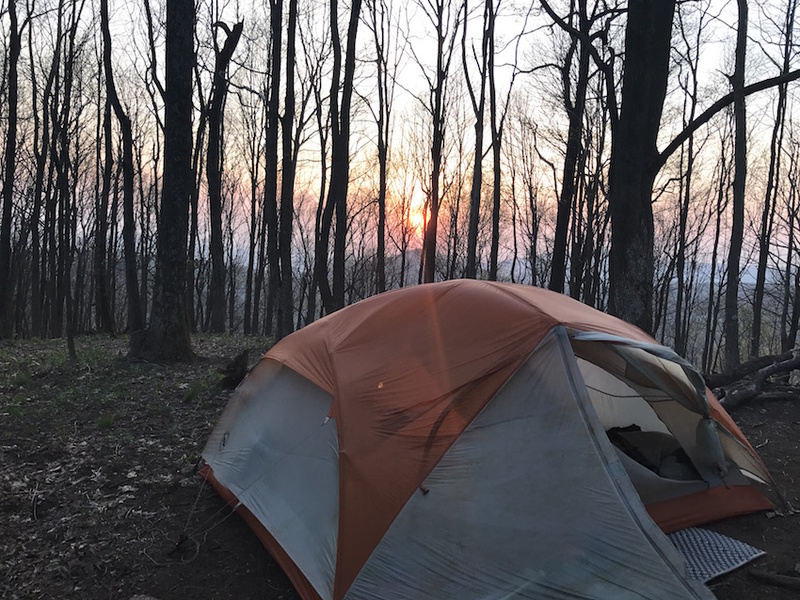 Chica liked the idea of staying in hostels along the trail, and thought it was important to try them for the “full thru-hiker experience.” Sunsets; however, had other ideas, mainly that he did not want to stay in a bunk room next to tons of other snoring hikers (= no sleep!). We ended up doing a mixture or hostels, private rooms and hotel rooms for our Zero or Nero Days. 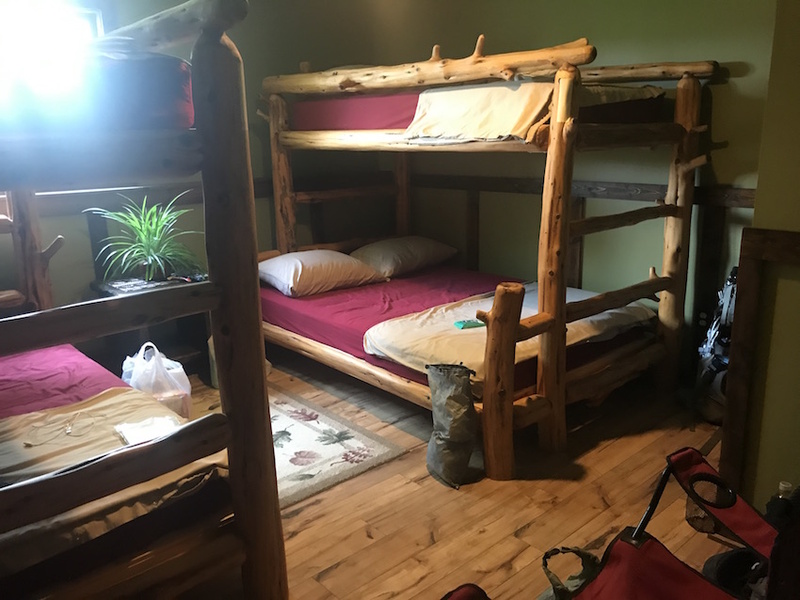 The best part was – a lot of times we could get a hotel room or a private hostel room for the same price as two bunk beds in a hostel. This was a huge plus, as we would end up having a quite night, getting a good night’s sleep, all while paying the same price (sometimes even less!) as we would have for 2 bunks in a hostel. Sunsets used these arguments often to get out of staying in a hostel. This was a bunk room at one of the nicest hostels “Bearded Woods” we stayed in. We actually had this room all to ourselves, thanks to the other hikers who all stayed in the other bunk room to give us some privacy. Plus we were in the “double” bunk on the bottom so got to sleep together! Having two perspectives and skill sets is better than one. You cannot imagine all the little predicaments you will encounter along the Appalachian Trail. Plus, just deciding simple things, like: how many miles to hike the next day, where to take a day off, how long to resupply for, should we hike even though there’s 50% chance of rain all day? It just seemed easier making these decisions with two people instead of one. For us – once we made a decision, we stuck by it no matter the subsequent doubt or weather change, and this helped us as well. On Day 1, we were at a shelter that night with bear cables. Well, we had never seen bear cables before, and Sunsets had just watched a video on how to hang two bear bags with a counter-weight system, which is all he could think about when staring at the bear cables with two hooks on them. Defeated, he came back to the tent and said he couldn’t figure it out. I went with him back to the bear cables and we figured it out together, and all was fine, sometimes it just takes another person to help talk things through. Another night we were in our tent and a horrific wind and rainstorm blew in. It knocked a huge tree limb (that we had not seen anywhere while setting up) into our tent, and it broke a tent pole so the whole tent collapsed! If I was alone, I may have freaked out – there was no one else at this tent site. But together, we figured out a temporary splint and duct-tape plan that held the tent up for the rest of the night (luckily the wind and rain stopped after that, otherwise not sure it would have held up). 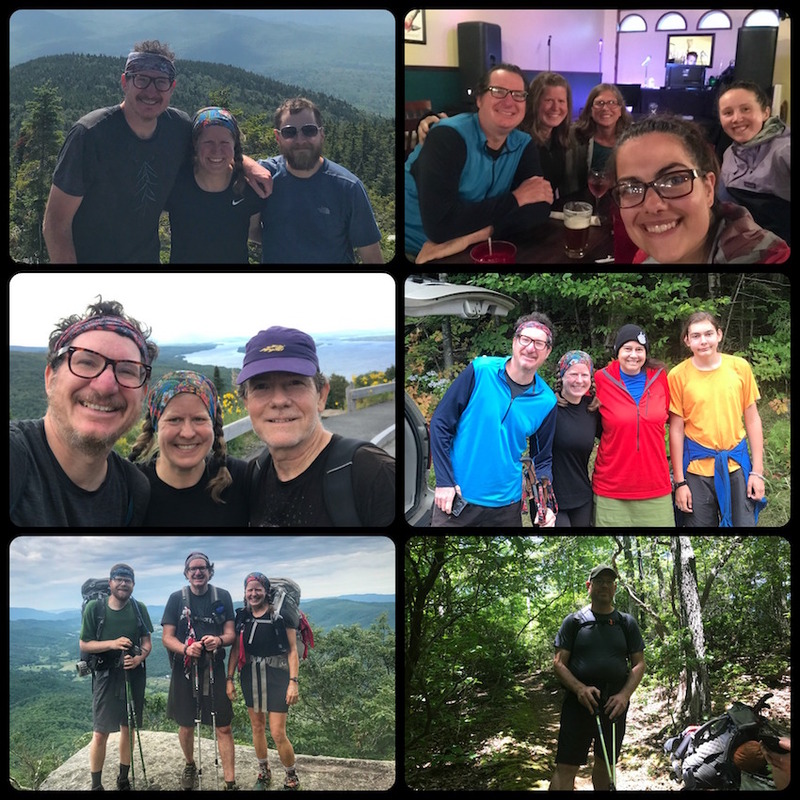 A few times we got off trail, but one of us usually picked up on it, saying “um, this doesn’t look like the trail,” or “I haven’t seen a white blaze in a while…” – it just helped to have two brains, instead of one, less room for doubt. We always looked at our Guthooks App, and got back on the trail with no problem (that app is a lifesaver, folks!). 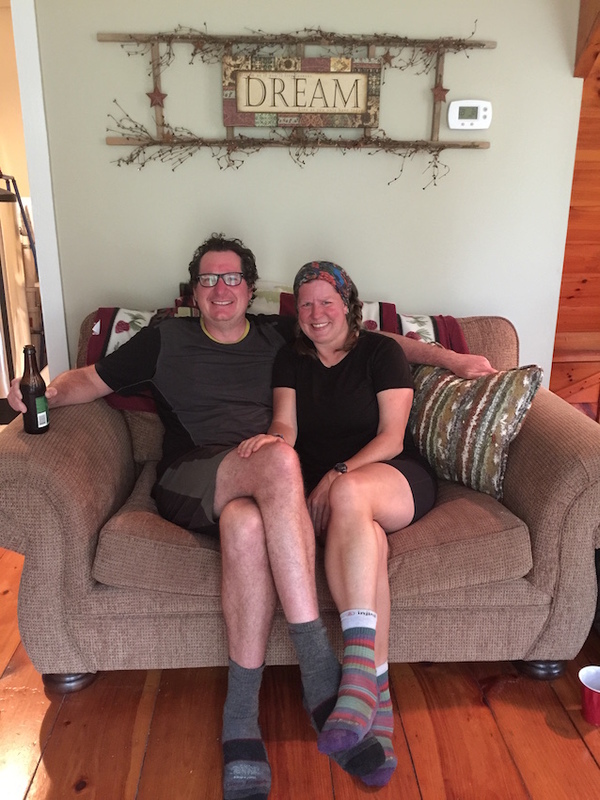 One of the biggest concerns of those starting out a thru-hike alone, is “will I be lonely?” When you hike as a couple this is not a problem, we had each other. Also, we didn’t worry about forming a tramily (trail family) right away, we had each other, no need to worry about getting a bigger group together. We did, however; meet people that we connected with, which we weren’t expecting, and was a very positive experience for us! Hiking together as a couple will either break you, or make you stronger. We’ve heard of other couples (some dating, some recently married) where their thru-hike destroyed their relationship. But if you ask me, maybe their relationship wasn’t the strong to begin with, and this was the “thing” that really tested them. You have to really know your partner, and also really LIKE each other (sounds obvious, right?). You need to be there when they need you, and vice versa. For us, it definitely made us stronger. There was nothing more rewarding than accomplishing this adventure of a lifetime and standing on top of Mt. 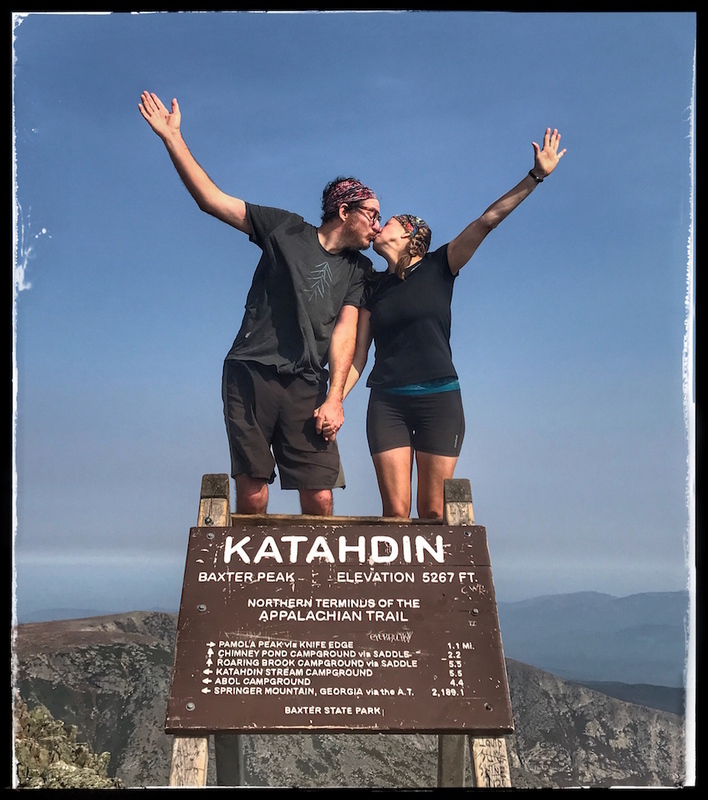 Katahdin together! U guys are an inspiration! I love my wife to pieces but don’t think I could deal with her on the trail!! Lol!! Guthook app is the best recommendation ever! We loved following ur adventure and look forward to ur hike in Spain! Hahaha, it is not for everyone, for sure! Thanks so much Justin! I loved this article/post! Y’all sound just like us in the way you guys get along and handle life together. We’ve been together for 21 years, but married 13. I’m hiking the AT this year and most of it by myself since my hubby can’t leave his job that long, (he’s doing the first month with me) but his companionship will be missed. Can’t wait to read your book! As one who ended up hiking solo, the loneliness can really get to you. But tramilies make a huge difference. There are so many people on the trail, but everyone hikes their own pace and you can spend hours by yourself. Meeting up with people at the end of the day is something I looked forward to. Hi Mystic! We were always happy to see your smiling face, on the trail during the day or at night in camp. 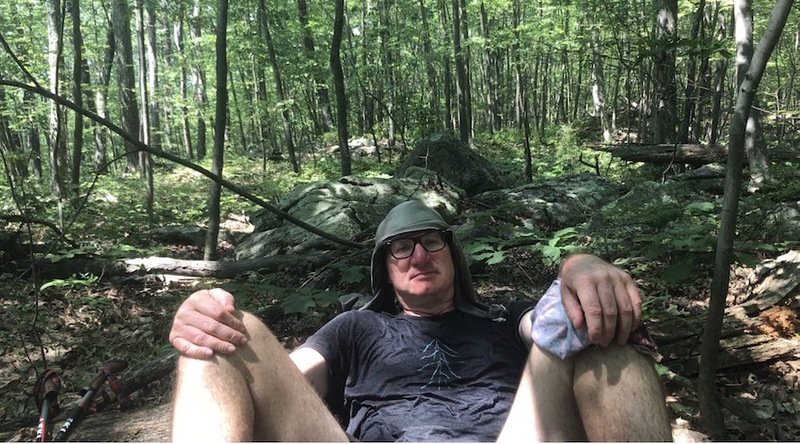 Thanks for giving your “solo hiking” perspective. Hi guys. I love your site. You did a great job capturing hiking as a couple. Even though Trail Princess only made 800 miles with me before she got hurt, it was enough to agree with everything you’ve said here. It was great hiking with you both near the finish. Been waching your adventure on the AT. My husband and I would love to hike the AT but finicially cant. We have hiked alot of day hikes in the Smokey Mountains. Loved it.